Here we took a separate toilet and bathroom in a typical 1950’s house and created a spacious bright large classic contemporary bathroom. 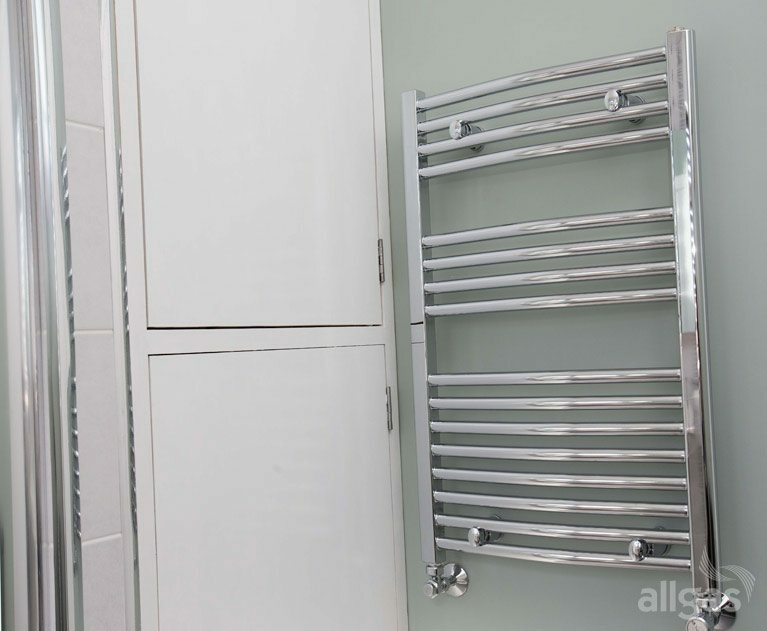 The owners wanted a combination of old and new to create an individual look. 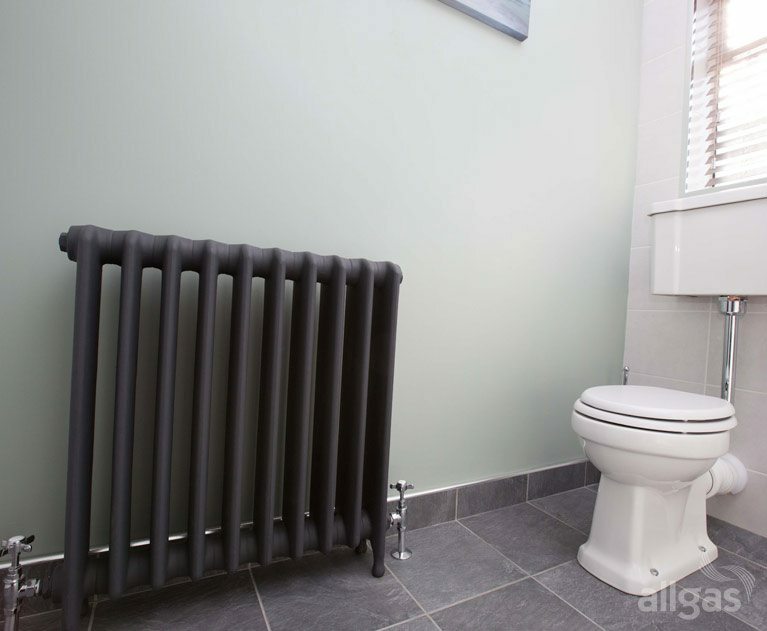 First we broke out the wall between the old bathroom and toilet and then we made it even larger by moving the entrance to the bathroom further out into the landing to give even more space. 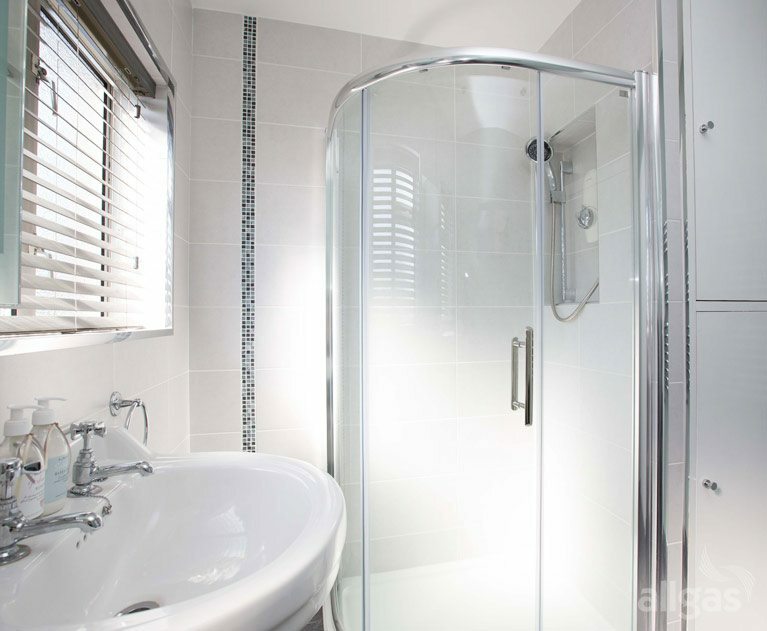 We installed a large quadrant shower tray with easy clean doors. 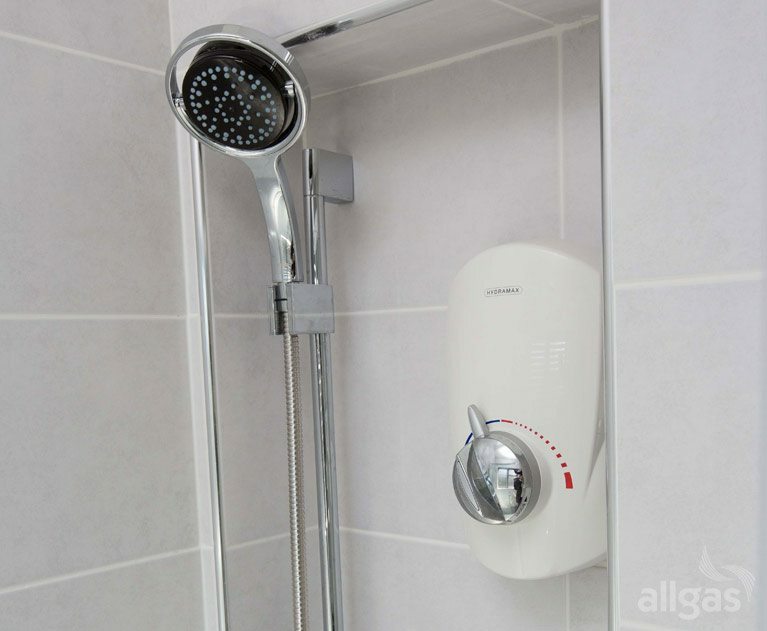 We installed a Mira digital shower and situated it in a recessed area which gave even more space in the shower and provides a shelf to hold toiletries etc. 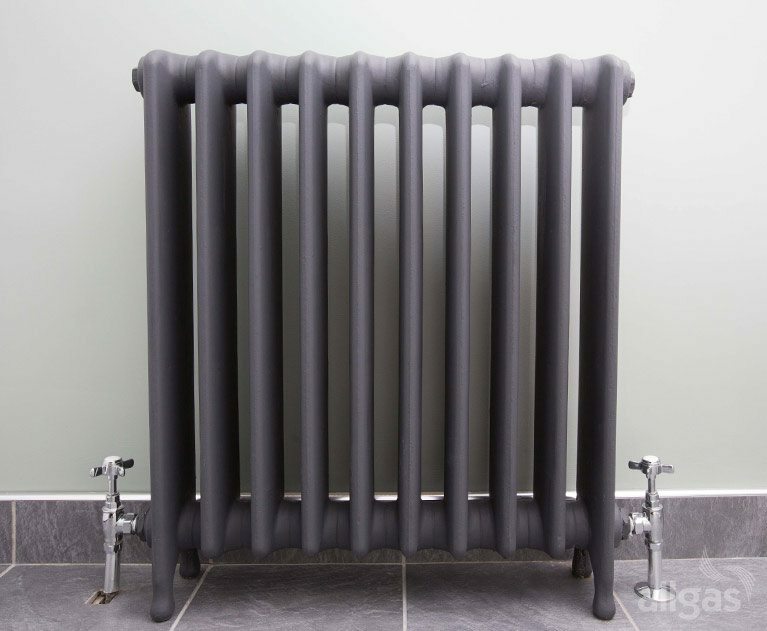 The old and new fit very well together with a Classic Burlington low level toilet, Burlington Edwardian round wash-hand basin, taps and chrome Burlington fittings together with an old cast iron radiator which we refurbished and which adds an air of luxury. 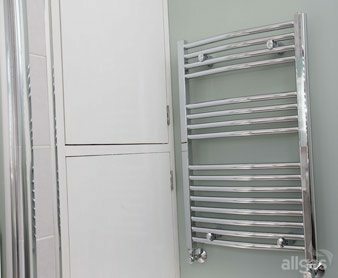 We added a chrome towel rail and chrome trims throughout to give a modern feel. Cool dark gray tiles on the floor combined with soft light grey wall tiles with a vertical mosaic border add a further touch of style. 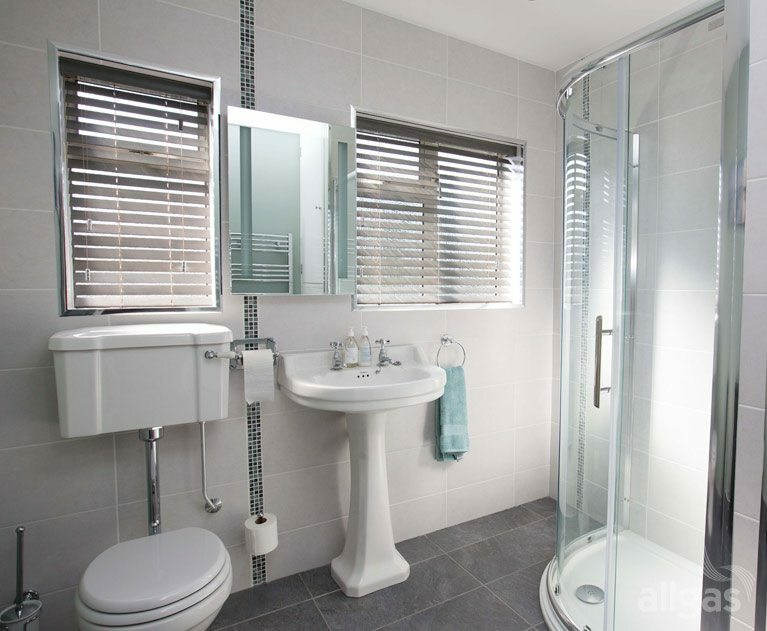 A lighted mirrored bathroom cabinet completes the look.